Starry Nights Workshop goes a step beyond the others. Joan will start students off with a short fitting class. This means that each lady will have at least four jackets to try on in her size. We choose the best fit, then make any needed alterations to the paper pattern. Students then are walked through the design process. 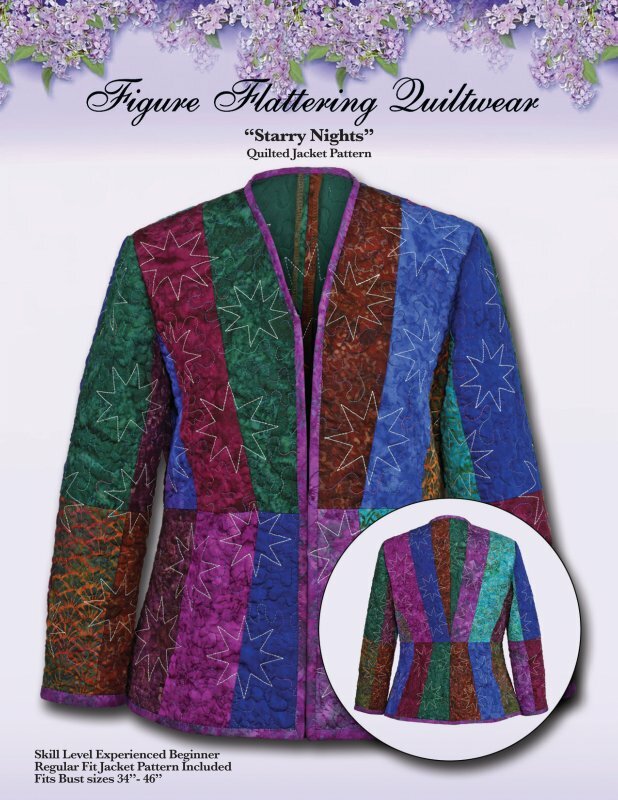 We do lots of measurements step by step and then create customized pattern pieces for the Starry Nights jacket. Once this is done student cut out and assemble their pieces and are ready to quilt. As an added bonus in this class we will cover quilting using templates, free-motion and quilting via embroidery hoop. A great class for any guild with a ton of information!